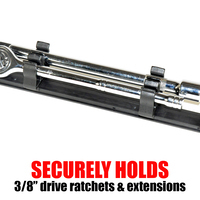 This Ratchet and Extension Holder securely hold 3/8" drive ratchets and extensions in the toolbox or on the go. Holders snap onto the front side (face) of the socket organiser. Lifetime guarantee. Made in the USA. Flat rate delivery Australia Wide. 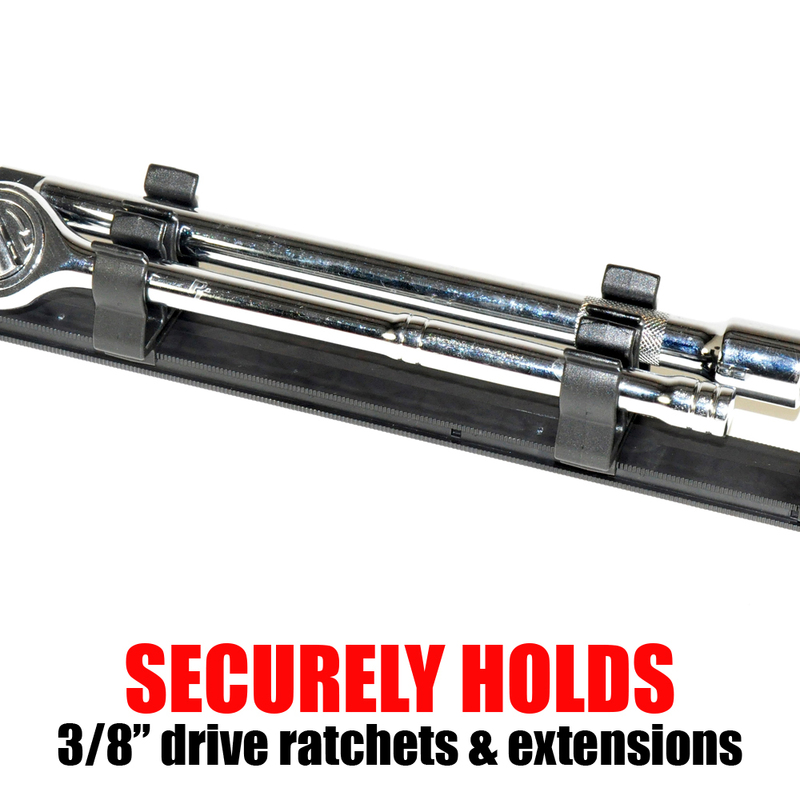 This Ratchet and Extension Holder securely hold 3/8" drive ratchets and extensions in the toolbox or on the go. 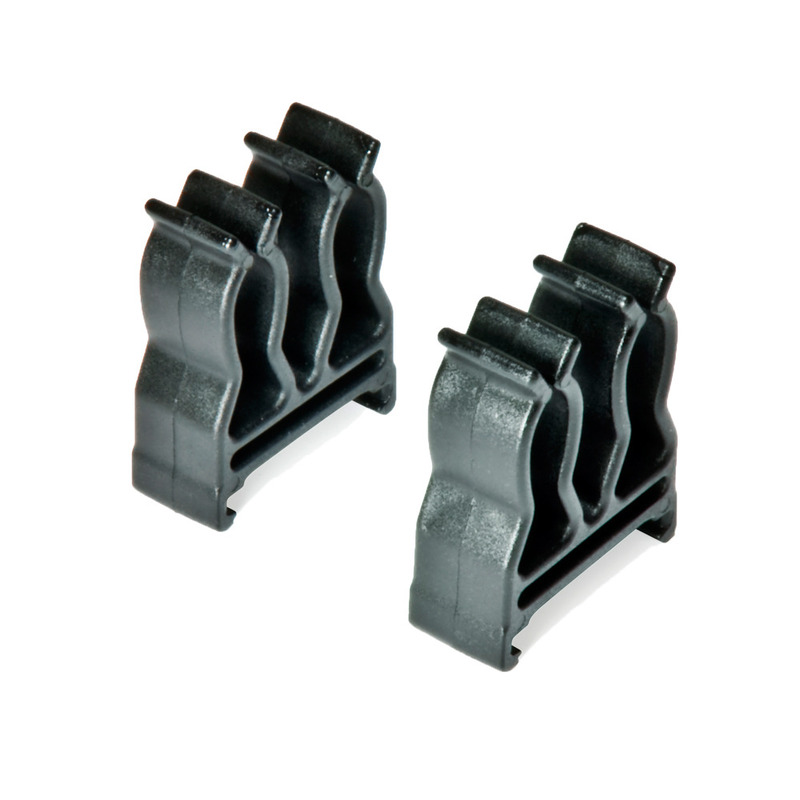 Holders snap onto the front side (face) of the socket organiser rail. Holders will adjust to fit any length of the ratchet or extension. Your ratchets will be held in place alongside your sockets. Works well with our Complete Socket Organiser and can also be used on individual Rails. Available in black. This Ratchet and Extension Holder securely hold 3/8" drive ratchets and extensions in the toolbox or on the go. Holders snap onto the front side (face) of the socket organiser. Holders will adjust to fit any length of the ratchet or extension. Your ratchets will be held in place alongside your sockets. Available in black.